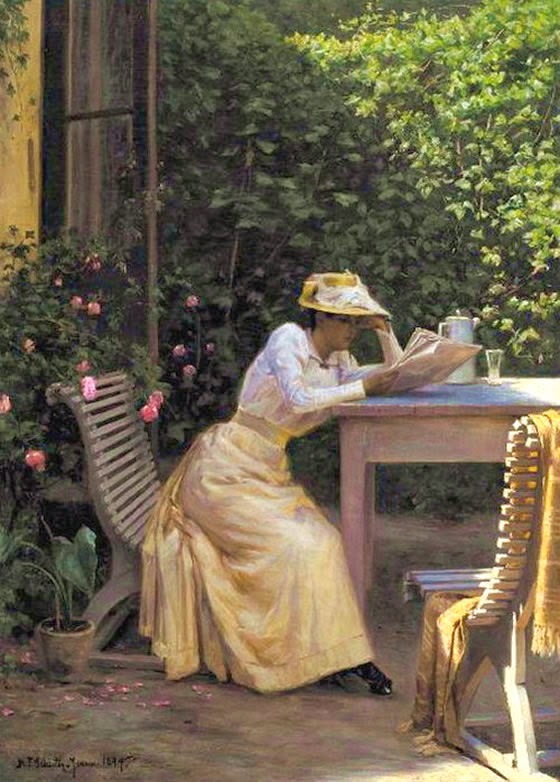 Lady Reading in the Garden (1894). Niels Frederik Schiøttz-Jensen (Danish, 1855-1941). Oil on canvas. It's the official first day of spring and although it looks as if it is summer in this garden ... this made me feel spring like. As spring like as when I sat on the back porch after dinner last night, reading magazines in the long lasting light with the birdsong swelling all around.